The paper describes the algorithm for weak GNSS signal acquisition and presents the results of mathematical modeling of the proposed algorithm. Keywords: GLONASS, GNSS, digital signal processing, signal acquisition. The article describes structure and new possibility of landing radio beacon group for instrument approach aircrafts, called PRMG. Keywords: complex stend of testing, distance radio beacon, differential mode, equipment data link, glide radio beacon, GLONASS/ GPS, localizer radio beacon. The paper reviews the present status and principal development areas in the radionavigation technical aids. Characteristics of satellite and terrestrial radionavigation systems in governmental radionavigation plans are analyzed, the development of navigation user requirements possible challenges in providing resilient navigation support and trends in development of radionavigation technologies. Keywords: BeiDou, Galileo, GBAS, GLONASS, GNSS, GPS, IFRNS, radionavigation system, satellite radionavigation system, SBAS. Besides combined statements in «ERA-GLONASS» integration with «system-112», basic functions of on-board communication stations are described in the article. Keywords: GLONASS, «ERA-GLONASS», «System-112»; traffic accidents; data systems. Performance of a GNSS receiver at low signal-to-noise ratios depends on the tracking loops design. GNNS receiver with conventional tracking schemes (see [1–3]) onboard of high-dynamic object can determine navigation parameters at a minimum signal-to-noise ratio of 30 dBHz. The new architecture of tracking loops proposed in the article makes it possible to ensure the operation of the GNSS receiver at a lower signal to noise ratio (down to 22 dBHz). With this technique a small position error is achieved (6 m at a confidence level of 95%). The article reveals the factors that determine the minimum signal-to-noise ratio at which the receiver can track GNSS signals, presents the results of an experimental evaluation of the GNSS receiver performance at low signal-to-noise ratios, gives recommendations for the development of GNNS receiver for high dynamic platforms. Keywords: GNSS-receiver, high dynamic object, satellite navigation, signal-to-noise ratio. accuracy and availability characteristics with account of pseudo-range residual errors specified by the ICAO. Keywords: accuracy, a priory evaluation, availability, GLONASS, GNSS, GPS, integrity, navigation satellite, performance, SDCM. An automatic unmanned underwater vehicle (AUUV) intended for work at depths of up to 600 m is briefly described. The article presents AUUV concept and test results. Based on the results of the tests an updated structure of complex information interaction was proposed and new AUUV navigation elements placement scheme was designed. Keywords: automatic, automatic unmanned underwater vehicle, complex, concept, navigation, structure, underwater vehicle. Keywords: AIS, CDMA, FDMA, GLONASS, GNSS, GPS, IALA, IMO, marine differential subsystem, РРР, user equipment, RTK, VHF. The article presents the results of the research aimed at creating effective methods and means of assessment of the strap down of inertial navigation systems (SINS) on the basis of complex use of the results of mathematical and seminatural modeling of the system work, flight tests on the flying laboratories and on experimental aircraft. The complex technology of the SINS errors analysis is based on the methods of optimum information processing, factorial analysis of SINS large errors, statistical modeling SINS errors with the use of the Monte Carlo method with the confirmation of statistical uniformity of materials. It is only the independent channel integrated with the BINS navigation satellite system that is considered. New and existing methods and means of SINS characteristics assessment have been respectively developed and enhanced in order to issue recommendations concerning the increase of their precision characteristics. On the basis of the existing «Etalon» program complex program complexes «Etalon-XXI» and «Etalon-MK» have been developed. The perspective technology of working off at all test stages including SINS certified flight tests has been created. The developed technology will allow to increase informational content of the characteristics analysis, to reduce terms and cost of flight tests and SINS certification. Application of the developed methods and means is shown on the examples of the assessment of the BIMS-T inertial and satellite systems at the Il-76MD flying laboratory (FL) and the plane Il-96-300, LINS-100RS at the maneuverable MiG-29UB flying laboratory. Keywords: estimation methods, flight tests, Monte Carlo SINS, strapdown inertial navigation systems. and target equipment adjustment and mission preparation. This paper consists the way of ST noise equivalent angle (NEA) filtration. The algorithm isn»t based any classic filtration method and provides NEA filtration without delays. The algorithm via virtual star tracker (VST) synthesis by two ST measurements processing provides ST NEA guarantied filtration. Suggested algorithm with simple mathematical operations allows to reduce around boresight axis NEA to level boresight axis direction NEA without need of sufficient computing capability of AOCS. An satellite AOCS could be design like uniformly precise with application of suggested algorithm without any additional NEA filtration. Keywords: filtration, measurements fusion, satellite on-board control system, satellite, spacecraft, star tracker, virtual star tracker, uniformly precise attitude. The paper presets the outcome of the development of competitive national equipment for precise navigation, including the estimates of manufacture locations in RF, user expenses, possible applications in tachgraphs, in precise agriculture, in ERA-GLONASS. Drawbacks of using global satellite navigation systems (GNSS) are shown and information is given about the development of a precise Local Navigation System (LNS) capable of using all the advantages of a navigation signal with robust interference immunity. Keywords: GNSS, localization, LNS, navigation, UNE, receiver, precision agriculture, price, ERA-GLONASS. It is considered the E-Navigation Concept, developed by IMO and IALA for marine vessels with purpose to improve security and safety of navigation at sea, named its components and proposed the ways of implementations. The architecture of shipborne navigation equipment is described. The core of the equipment is multi-system multichannel GNSS receiver. Maritime Service Portfolios for navigation provision and safety at sea of vessels is described. Receiver of the signal of terrestrial radionavigation system may be included in composition. The necessity of satellite VHF communication improvement is shown to provide transmission of constantly increasing volume of information in quasireal time scale. Status and perspectives of e-Navigation («road map») in Russia are described. navigation based on the use of signals from global navigation satellite systems (GNSS), the results of testing some samples of the navigation equipment of the consumer operating using various GNSS, assessing the efficiency of using the information of the Russian system of differential correction and monitoring and assessing the availability of cellular communications in this transport corridor. Keywords: Beidou, GLONASS, GPS, differential correction and monitoring system, MIDL, navigation equipment of the consumer. studies conducted corroborate the fact that it is possible and expedient to apply the proposed technology to improve accuracy characteristics of the combined ISNS. Keywords: fiber-optic sensors, inertial navigation systems, micromechanical sensors, system integration. The paper describes the navigation signal tracking algorithm for differential corrections measurement using the Kalman filter, and presents the results of mathematical modeling of the proposed algorithm. Keywords: GLONASS, GNSS, digital signal processing, Kalman filter, signal tracking. In the article process of development and the approval in 2017 of the international industrial standard on the minimum operational characteristics for the airborne GLONASS/GPS aviation receiver operating on L1 frequency band is described. Keywords: civil aviation, GLONASS, GPS, navigation, satellite standards. The paper presents the «Russian Navigation and Information Satellite System» project. This system generates signals that contain navigational data on its ground segment and transmits them to users with the help of data relay satellites. Besides the navigational data contained in the signal, the system also relays communicational messages. The authors analyze the premises of this system’s creation, put forward an approximate composition, signal structures and frequency bands for this system. This article deals with optimal filtering algorithms for the navigation signal carrier tracking systems. Besides recursive filtering and extrapolation, the optimal filtering contains smoothing which could increase the chances of obtaining the best possible result not only for estimation accuracy but for noise-resistance as well. The paper includes derivation of potential characteristics of accuracy and noise-resistance of smoothing algorithms. In addition, some statistical modelling results are given in the article. The article provides information on advanced equipment designed in the interests of the MIA of Russia, determines directions of development of the navigation providing of the internal affairs bodies. The approach to the external (system-aggregate) design of navigation support for an automatic movable object is proposed. This approach is based on the methodology of the targeted processes effectiveness theory. The example is considered and expression for determining the values of the performance indicator, depending on the values of the parameters of the navigation system and the process of its application, is derived. The technology of precision navigation using the global system for highly accurate determination of GNSSnavigation and ephemeris-time information in real time for civilian users (1st stage) is described. Assistance information for consumers at stage 1 provides high-precision absolute positioning of consumers with an error (standard deviation) of not more than 0.1 m in the operational mode with the initial initialization, and in a posteriori mode not more than 0.05 m. By 2020, in the second stage, it is planned to improve the precision, respectively, to 0.05 m in the operational mode and to 0.03 m in a posteriori mode. Improving the accuracy characteristics of the system is scheduled through the deployment of its own network of measuring stations on foreign territories, implementation of the high-precision absolute positioning technology, creation of samples of navigation equipment of consumers with specified characteristics, implementation of the delivery of assistance data to consumers through space communication channels. Keywords: accuracy of ephemeris-time information, global network of measuring stations, global navigation satellite systems, global system for precision navigation in real time, precise point positioning. The authors of the article consider the application features of semi-field testing of GNSS navigation field for estimation of accuracy characteristics of anti-jamming GNSS receivers and GNSS attitude reference systems. The requirements for the simulation scenarios needed for an anechoic chamber are set. The estimation of the systematic error in measuring of the carrier phase differences is presented due to the effect of the «proximity» of the signal emitter in the chamber, which affects the accuracy of the attitude determination in the testing of the attitude reference systems. Keywords: anechoic chamber, anti-jamming, attitude reference system, global navigation satellite systems, GNSS receiver, navigation equipment, semi-field test. The article presents an analytical review of the main lines of design and development of hemispherical resonator gyroscopes (HRG), strapdown inertial navigation systems (SINS), and position reference systems based on HRG. The authors analyze the studies of head researchers at Delco Electronics (Northrop Grumman afterwards), USA, Sagem (Safran afterwards), France, Charles Stark Draper Laboratory at the Massachusetts Institute of Technology, USA, and of other Russian and foreign researchers and developers. Keywords: angular velocity sensor, AVS, gyro, hemispherical resonator gyroscope, HRG, navigation, SINS, standing wave. The article gives a review of the role that autonomous unmanned underwater vehicles (AUUV) with integrated navigation systems play in the development of the ocean. Performance specifications of AUUV, designed by the Experimental Design Bureau of Oceanological Engineering, similar domestically produced vehicles, and the factors that determine the advantage of using it in comparison with traditional systems are presented. Possible ways of AUUV application are suggested using an example of mapping tasks and pipeline condition inspection. The composition and structure of integrated navigation system, as well as that of integrated information processing algorithms, are suggested. Keywords: application, autonomous, AUUV, mapping, inspection, integrated navigation system, underwater, vehicles. The formation and structure of the modulation function (MF) of sinGBOC signals (sine generalized BOC signals) and cosGBOC signals (cosine generalized BOC signals) of promising satellite radio navigation systems, such, for example, as Galileo (EU), Global Positioning System (GPS) (USA), and BeiDou (China), are estimated. Analytical expressions for the spectral function and power spectral density of the single component of the MF of sinGBOC signals and cosGBOC signals at different pulse multiplicity coefficients NR, where NR = 2, 4, 6, …, and different duty cycles of ρ, where ρ [0, 1], are obtained. Based on the obtained general formulas for the sinGBOC signals and cosGBOC signals, spectra are analyzed in important special cases: sinBOC signals, cosBOC signals and BPSK signals. The properties of these power spectral densities are discussed. Keywords: BOC signal, GBOC signal, modulating function, spectrum function, power spectrum density, satellite radio navigation system, GLONASS, Galileo, GPS, BeiDou. At present time, in the challenges that require high precision positioning the methods of absolute high-precision navigation sightings using the carrier and envelope phase of SV radio signals (Precise Point Positioning, PPP) are actively applied. The PPP algorithms were adapted for the application of information transmitted by the SDCM augmentation system at the JSC «Russian Space Systems». The difference of SDCM from the similar systems such as WAAS, EGNOS, GAGAN lies in the transfer of corrective information for the GLONASS SV. Experimental evaluation of precision positioning according to the SDCM information was carried out in full-scale using the navigation equipment with the application algorithms of wide-area corrective information in PPP solution program. The proposed program showed good performance in static tests, in dynamic tests it showed a certain advance compared to SDCM. Further improvement of the program is required for more effective application of PPP in dynamic tests. Keywords: GLONASS, high precision positioning with PPP, PPP, Precise Point Positioning, wide-area augmentation systems. The article describes the perfection of approach systems and equipment of highly-maneuverable generations 4++ and 5 aircrafts on aerodromes of various categories and purposes on the basis of integrated on-board navigation and approach complexes (BNAC). Keywords: approach, BNAC, highly-maneuverable aircrafts, specialized digital computer, virtual radio beacon. The article reviews the current status and the development outlook of GLONASS Marine Differential Subsystem (MDSS) of the Russian Navy that is necessary for navigation and hydrographic vessel support and maritime safety. The information on the coverage areas, location, and basic characteristics of control stations for the existing and future local MDSSs is given. Keywords: control station, GLONASS, GNSS, marine differential subsystem, marine, MDSS. The formation and structure of the modulation function (MF) of sinGBOC signals (sine generalized BOC signals) and cosGBOC signals (cosine generalized BOC signals) of promising satellite radio-navigation systems, such as, for example, Galileo (European Union), global positioning system (GPS) (USA), and BeiDou (China), are estimated. Analytical expressions for the spectral function and power spectral density of the single component of the MF of sinGBOC signals and cosGBOC signals at different pulse multiplicity coefficients NR, where NR = 2, 4, 6, …, and different duty cycles ρ, where ρ [0, 1], are obtained. Based on the obtained general formulas for the sinGBOC signals and cosGBOC signals, spectra are analyzed in important special cases: sinBOC signals, cosBOC signals and BPSK signals. The properties of these power spectral densities are discussed. In the article the method of improving pulse-phase radio navigation system positioning accuracy using navigation parameters correction, consisting in corrections input on radio wave propagation, is estimated experimentally based on the results of statistical processing. Keywords: improvement, corrections, wave propagation, redundancy, Scorpion, Chayka, eLoran, Loran. The article describes construction characteristics and technical specification of new radar approach control PRL-27C that uses fixed arrays with frequency beam swinging and monopulse signal processing. Keywords: frequency beam swinging, monopulse signal processing, PRL, radar approach control. The article contains an analysis of the possibilities of using unmanned vehicles in urban passenger transport based on the use of satellite navigation technologies and the organization of transportation on the Bus Rapid Transit system. Based on the targeted approach, the prospects of this approach are shown. The example of the telematics equipment of the public transport vehicle with two-modal control – automatic and manual is shown. Keywords: bus rapid transit, satellite navigation, telematics equipment, unmanned vehicles, urban passenger transport. 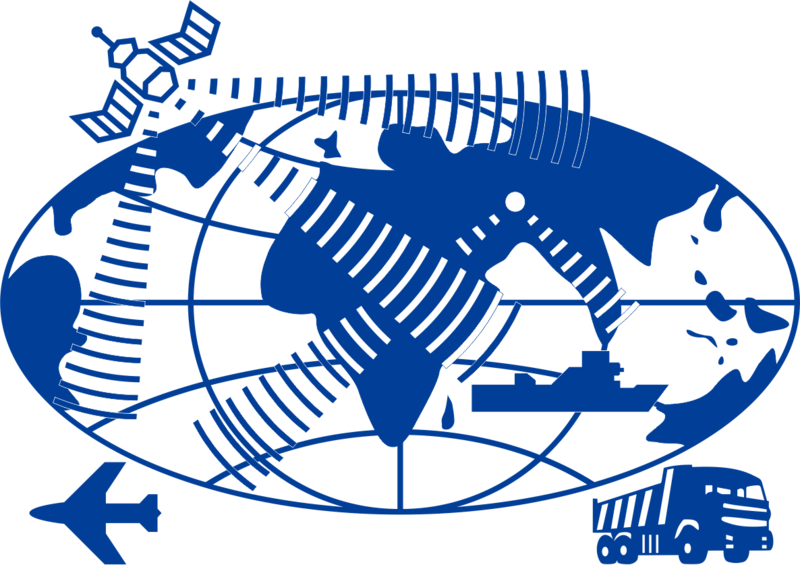 At present, it is generally accepted that in addition to global navigation satellite systems (GNSS) there should be a backup long-range coordinate-time support system complementary to GNSS. There are two types of such systems: pulse-phase radio navigation system (PPRNS) and radio navigation systems with multistage frequency modulation (MFMRNS). Such well-known systems as Loran-C, Tropic-2 (Chayka) are examples of PPRNS. The principle of operation of the MFMRNS, an example of which is Mars-75 system, on the other hand, is known to a small range of specialists only. The article presents a brief history of the creation of the MFMRNS, explains how it works and outlines the opportunities in case of further use of the system. A brief description of the frequency modulation signals in systems with time detection module is given; some issues of the technical implementation of transmitting radio stations with MFM, as well as MFM consumer equipment are discussed, an example of the algorithm that produces «synthesized pulse» image signal is given. The article shows the ways pseudo-ranges are set up in the device in the conditions of spatial waves, as well as the ways of processing MFMRNS and PPRNS signals in the same consumer equipment, and the ways consumer equipment can function in radio navigation network with PPRNS and MFM transmitting stations.